I am sure many of you have been witness to some "debate" online recently - especially within Facebook recipe sharing pages - over copyright issues as they pertain to food writers, food photographers and bloggers. Terms like, "stolen content," "sharing," "intellectual content" and "theft" have been thrown around on many social media sites lately. And, I would like to take a moment to share with you - from my personal experience in recent days - what the fuss is all about. I've waited on writing this for a few days as I did not want to write out of bitterness and anger. I hope that you understand that I am writing this from the heart and because there is a good deal of misinformation out there on the subject. I am not a lawyer and do not claim to provide legal advice. I encourage you to research the subject more should you desire to look into the legal aspect in more depth. A beautiful food photo accompanied only by the name of the dish and a full recipe for you to follow should you choose to make the dish at home. A beautiful food photo accompanied by the source of the recipe and photo ... as well as a link to the source (original blog or website). 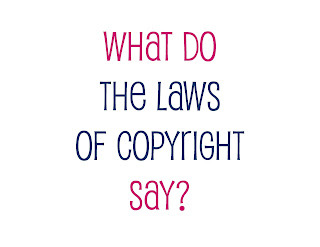 From a copyright standpoint, number one is illegal and is an infringement of what is called intellectual property. There is no credit given to the source of the photo/recipe. Furthermore, presenting photos/recipes this way can be misleading as it leads the reader to often assume that the recipe/photo belongs to the person who has posted it on their Facebook page. I have been heavily dealing with this issue for the past week. Last Monday, I was contacted by a fellow blogger who had seen a photo of mine on one of these "offending websites." The recipe (including my photo of the dish) was included in full, there was no mention of my blog name, no link was provided and no credit (attribution) was given to Joyously Domestic. Furthermore, commentors on the photo were raving about how wonderful the recipe sounded ... and the page owner was saying things like, "thank you so much" while taking complete credit as if the photo/recipe was her own. I've even had a few people remove/crop my copyright watermark from my photos so that people would not see the source. It hasn't just happened on Facebook to me either. I have found three actual websites that are using my content and claiming it as their own ... all while they are generating revenue from advertising. They are financially profiting from my work. It has been disheartening, hurtful and quite a time-consuming situation. I've dealt with the same issue on over thirty different pages and sites this past week. I've contacted the page owners privately and kindly. Out of all of them, one (yes, one) was nice about changing the post to accurately credit Joyously Domestic. Many of the others have taken to their pages and followers to bash the blogging community. I am saddened and frankly, up in arms about all of this. That is why I felt the need to create this post. As shown, ingredients are not covered under copyright law. However, when a blogger accompanies those ingredients with instructions or directions in their own words, those words are the property of the author (blogger). Furthermore, when we photograph our food, the photo is our property. We are the owner of the "illustration" of the recipe as it pertains to the photo. Now, with the basic legalities out of the way, I want to address what this means as it pertains to a food blogger. Joyously Domestic (the blog) is my job. Many bloggers provide for their families through income generated on their blogs. Our income is based upon traffic to our blog - through sponsors and advertisers. For those of you who do not blog, have you ever wondered what it takes to be a blogger? I shop for and purchase ingredients after researching and developing a recipe. I prepare the recipe (sometimes more than once). I stage the food for photography purposes. I photograph the food (usually 50 - 70 shots). I write the blog post and type out the recipe. I upload the photos to the blog post. I proof the post (and often ask family to proof it for me). I categorize the post to the appropriate tab(s) on my blog. I promote and share the post to various social media sites (on my own accounts, of course). I share the post/photo/recipe to legitimate recipe sharing sites (where attribution/credit is properly maintained). I respond to comments/questions pertaining to the post/recipe here on the blog and across other social network sites. Personally, one posts usually takes numerous hours of work. I work full-time from home at blogging. It is a joy and a pleasure. But, it is work. It is my job and it is how I supplement my husband's income for our family. But, now let me tell you what happens when a food blogger's work is spread across the internet with no proper attribution and with a full recipe attached to their photo(s). Many of the Facebook pages that are incorrectly posting our work have generated thousands and thousands of followers. What this tells us is that our recipes and photos must be pretty darn amazing for that many people to continue to share our photos with their friends and family. That is awesome and rather encouraging as a member of the food blogging community. But, several of my photos were shared over 15,000 times each on Facebook through these "recipe sharing pages" ... and none of that exposure benefited me as the owner of the property. Reports have been made to Facebook and they have been actively working to either remove the illegal content, shut down pages (when necessary) or both. 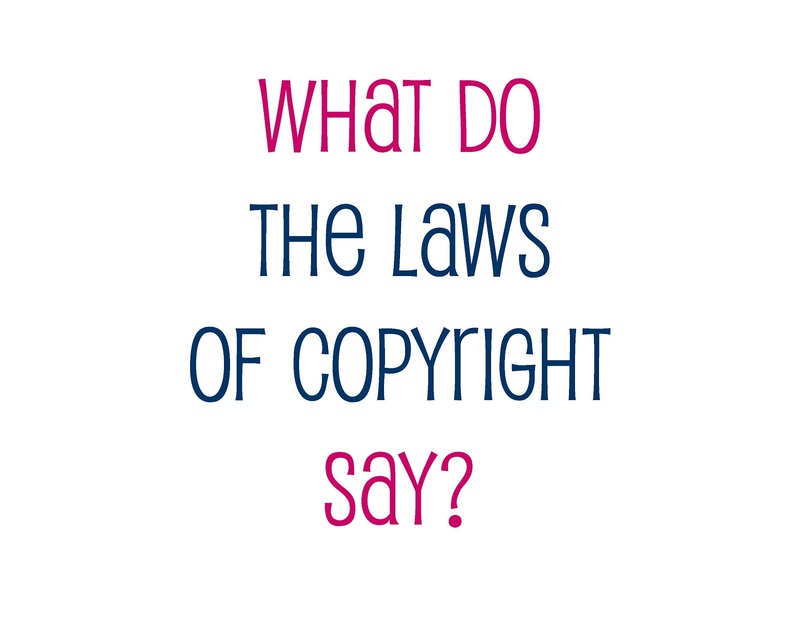 Facebook has strict copyright policies as they pertain to how a page can be operated and how to share content. I appreciate that they are working hard on this issue. So, what does this mean for you and I??? What's the correct way to share content? I encourage you to take a look at that food photo you're sharing with everyone on Facebook. Does it have the full recipe copy and pasted (a major no-no)? Can you find the name of the person or blog whose work is represented (proper attribution)? Is there a source link to go check out the recipe or instructions? "Its up to YOU to make sure that the image you have shared on your facebook page is within legal requirements for fair use. If you share an image that does not belong to you, you are liable. It doesn't matter if you shared it from a page that shared it a zillion times, when it ends up on your wall that responsibility now lies with you." Sharing the improper way provides no credit for the creator and owner of the work. Furthermore, it provides no incentive for the reader to visit the source (blog/website) that created that beautiful-looking and amazing-sounding recipe. "Why put your recipes and food photos on the internet if you don't want them shared?" Many people believe that just because something is out there on the web that it is "free game" and up for the taking. I like the analogy of one fellow blogger on this issue. "If you saw a car in a parking lot (public place) that you really, really liked with the keys in the ignition, would it be okay to take it without permission?" Of course not. That would be stealing. 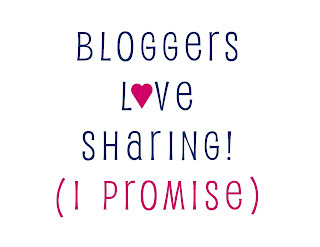 Please don't think that bloggers are saying that they don't appreciate their work being shared. Actually, the truth is quite the opposite. We love sharing. In fact, we are in the business of sharing. SHARING IS WHAT WE WANT TO HAPPEN WHEN WE PRESENT OUR WORK FOR THE WHOLE WORLD TO SEE. We, literally, live for sharing. We just ask that it be done in the proper way. More imporantly, the law requires that it be done the proper way. I'll wrap this post up now and let you get back to your lives. In closing, I felt that I needed to address this issue especially since many of the page owners associated with these offending sites have taken to bashing the blogging community, lying to their followers and have waged an all-out war trying to turn people against bloggers. And, because I have joined in on some of the conversations on these sites regarding proper sharing and copyright law, I have been confronted with a good deal of hatred and bashing by misguided folks. I wanted to ensure that should my personal name or the name of this blog be viewed in a negative light by any of my readers, you would know the truth and the story behind the situation. Thank you for taking the time to read through my long-winded post. I do appreciate your readership to Joyously Domestic and truly do appreciate when you share the content here - in the proper way, of course. And, I want to say thank you to the sites and people who have stepped up to do the right thing by correcting the way they share! You have a wonderful and delicious blog and every ounce of work, and yes joy, you share on your blog is every bit yours. I think you have discussed this in a tactful and pointed way and I really appreciate it. As an avid Pinterest user, I often happen across sites that also post pictures and sometimes even the directions and ingredients to post by others. Sometimes they don't even bother to remove the watermarks which I personally am glad about because then I can look up the correct link and change it to the correct one when I pin it by going to the proper site. Thank you very much, Louise, for your kind words. I mulled over even writing and posting about this because I try to keep things pretty light and "joyous" here. But, it is something that does need to be addressed and hopefully, the conversation will prompt people to take a look at sharing of other people's work. Thank you for taking time to respond to the post. As a subscriber to your blog, I must admit I knew nothing of these laws. If I have shared your recipe(s) inappropriatedly I certainly apologize and hope I will not be sued. I still do not understand what I can do or not do with a recipe (or one of yours). If it comes up with "share" at the bottom I guess I assumed one could share it. I am going to re-read the above one more time to see if I can more fully understand what you have written. I am guessing I am not the only "dummy" involved here. Thanks again for your info. And please keep blogging. Hi there. First of all, please know that I have no plans to sue anyone. :) I'm sorry that I have you confused still after reading this post. If you're talking about the "share" button on Fb, for example, it's there exactly for sharing! However, bloggers (and the law) are just requiring that people make sure that what they are sharing follows the rules that the source is credited and a link is included to the original content (for example, this blog if it was one of my photos/recipes). Hope that explains it a little better. Hi There. Just wanted to say that I love your blog and often try to recreate your recipes! I post them on my own blog www.jazupmylife.blogspot.com (which is really only for sharing what's going on in my life to my family...as well as a school project)--but I am always careful to ensure that your blog (or any other source i use) is named and linked in my posts. Thanks for sharing the legal side of things, and sorry that you are experiencing people doing this to you. I really enjoy your blog and am amazed at 1) how well your posts are written and 2) how great you are at photographing everything! Hi, Jessica. Your blog is awesome ... I love the colors and design of it all! I just signed on as a follower. :) Thank you so much for your kind words! Blessings to you and your beautiful family! I have been bombarded with messages from those who follow my blog. They all say the same thing: "I just wanted you to know that such and such page is sharing your recipes, with no credit to you." Each time, I go in and message the page owner that is doing this. Sadly, very few have responded positively. On one page in particular, my recipes was shared 80 thousand times. It really sickens me! I have left this page owner messages that have gone unanswered. So today I contacted FB with an official complaint. Just waiting to see what, if anything,, happens. Thank you so much for this post! I can't tell you how many people I have shared it with. It's an excellent source of information. Thank you. I'm glad to have your positive feedback! :) And, I appreciate you visiting. Hallelujah and amen! I'm sorry but I do not believe that people don't "know" about copyright laws. You don't have to be a lawyer to be familiar with them. In fact, I teach middle schoolers all about it every year- and they get it. I think most people just don't think about it or they don't care. They aren't aware of what goes into blogging- the preparation, research, cooking, photography, writing, publishing, etc. I have found that a lot of people don't realize that blogging is a business either (no, I am not a blogger). This was a great post. I will be sharing it on my FB wall, with all the proper credits to you, of course! Thanks! Thank you for stopping by to comment and share your thoughts. I so appreciate the support and that there are people like you who help spread the word through sharing regarding this issue! Blessings to you! Have a great school year. Angela, another food blogger linked to this post, and I appreciate the thoughtfulness and care you took to explain the situation. As I post recipes from time to time, I don't want to be guilty of the "crimes" you spoke about. I am a food stylist and also know the kind of work that goes into a recipe. So, as a newbie, these are my questions: what is the correct way to post "correct instructions" if it is against the rules to present the "recipe instructions written in full." Is it possible to share a picture as long as the watermark is shown? How do you come up with your recipes; do you create your own original recipes, or do you adapt them? Thanks for your assistance! Isn't it amazing how many people see the fruits of your labor, and hopefully you will get credit from every single person!! Hi there. Now I feel intimidated ... a visiting food stylist? Welcome. As far as posting directions or instructions when a recipe photo is shared online, some food bloggers don't mind listing the ingredients with a "teaser" that then, directs people to their blog/site for the remainder of directions/full recipe. However, this is usually rare in my experience. To be safe, most bloggers prefer for the photo to simply have a brief description along with the name of the source and a direct link to the post on their blog/website. As far as sharing photos, we love sharing. If there is a watermark on the photo, it should be left intact and not cropped out. Please, share our photos all you'd like ... there should just be the source/credit of the photo present. When someone uses our food photo and lists the FULL recipe while not crediting us to boot, it becomes an infringement on our "intellectual property rights" as owners of that photo/recipe/post. Just as it is illegal to download music online without paying for it (unless it is specifically offered for free), someone "lifting" our content from our blogs and offering it up as their own or without citing the source takes money out of our pocket and does not provide proper attribution to the person who did the work. As far as the food and recipes on my blog, many are family recipes that have been passed down, some are my own creations and developments ... and some are adapted from recipes that I've discovered on t.v., on other blogs and in cookbooks. I always try to credit the source of a recipe if I've adapted or recreated it from somewhere else. Hope this all helps. I appreciated your questions and you visiting! Thank you for such an informative article! I have shared this link with a group I belong to. In minutes I have gotten so many responses from others who appreciate this information! I will definitely be a new follower of you! Great Stuff! Thanks! Great article! Thank you, very informative. I have shared with a group I belong to and within minutes have received many positive responses. Thank you for sharing. A New Follower! I wanted to let you know that your post was published to a group I am in on Facebook. I am a Lifestyle Consultant with "At Home". We are a direct sales company that sells home decor products online through our websites. Many of us also have Facebook pages through which we promote our products, sales, etc. We also sprinkle in recipes, diy projects, inspirational quotes, etc. I learned a lot through your post. I was concerned about this topic as I have seen it abused on other FB pages. I always give a source and most of the time a link as well. I thought that even if I added a source / link to a fully written out recipe, I was doing things correctly. I will now follow the guidelines that you suggested. What really bugs me are the people who post other people's recipes with photos and tell their followers to "share" it to their own timeline so as not to lose it. With or without a link, this only shares their page and does not directly go back to the blogger's original post. (I hope that makes sense) I will continue to post this to other consultants who are in the wrong but that is all I can really do. Do you have other suggestions? Thank you to the readers who have recently stopped by to visit this post. I greatly appreciate your positive feedback! It means a great deal as this was a difficult post for me to write and I had fear that there would be some backlash. Thank you again! I just wanna make sure this is correct.. as long as you post your link to your recipe, is it ok to share? Full credit to the source (usually with a link to the original source) is needed when sharing. If a recipe is typed out in full (along with a photo, let's say, of the dish), it was probably done so by someone who did not get permission from the source to do so. 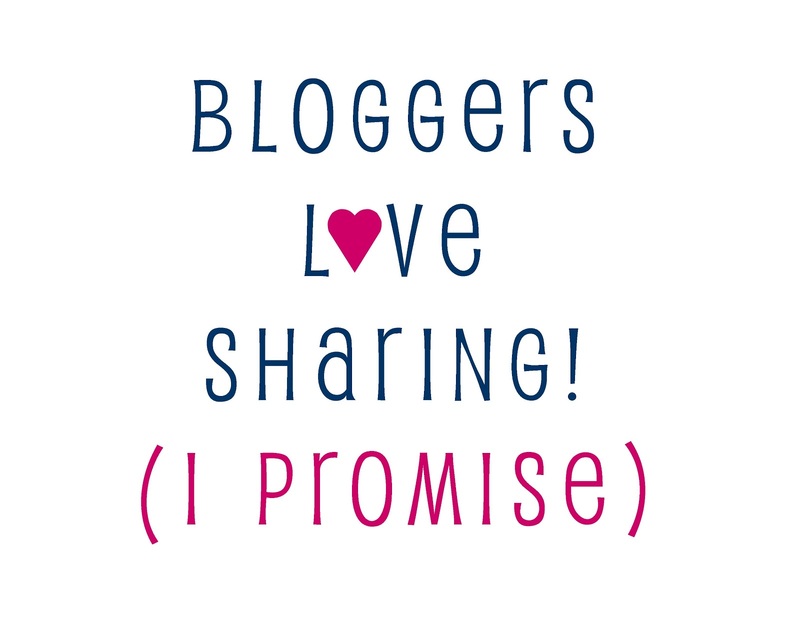 Bloggers love having their stuff shared, but the shared post should link back to their page or website ... and no offer the full recipe and instructions typed out. Most people do not mean harm when passing along these recipes (clicking the "share" button on Fb, for example), but passing along the photo with a full recipe does not facilitate anyone ever having to click the link to go to the blogger's page to visit. Doing so is technically illegal and can get someone blocked or removed from Fb potentially if they are reported.